The answer is 2. The second and third column in each row, multiplied together, give the first column. 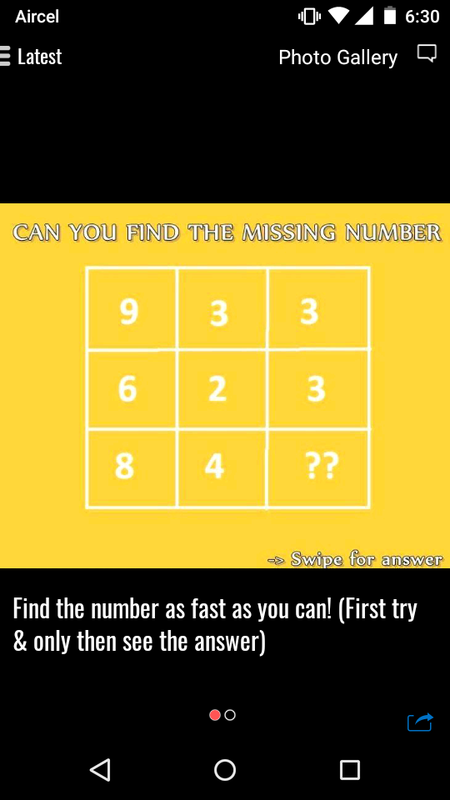 Answer is 2. In each Row,column ONE is equal to multiple of rest of two columns. The 3rd row = 2*(1st row - 2nd row) + 2. So once again, 2.